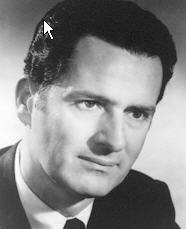 The National Baseball Hall of Fame and Museum announced on February 22, 2005, that Jerry Coleman, long-time voice of the San Diego Padres and ASA member, has been named the 2005 recipient of the Ford C. Frick Award, presented annually for major contributions to baseball broadcasting. Coleman also broadcast games for the New York Yankees, California Angels and CBS Radio’s Game of the Week. A former major league all-star infielder in nine seasons with the New York Yankees (1949-1957), Coleman successfully transitioned from the field to the broadcast booth in 1960. He has been a fan-favorite on the radio airwaves for the last 41 years, including 32 seasons, the last 23 consecutive, as voice of the San Diego Padres. "Jerry Coleman's name is synonymous with baseball in San Diego after 32 years of calling Padres games," said Hall of Fame President Dale Petroskey. "He has a strong and concise play-by-play calling style, which he effectively mixes with malapropisms, much to delight of his listening audience. Jerry's nationally-renowned as a fan-favorite after so many seasons on CBS Radio Game of the Week broadcasts. We look forward to being with Jerry and his family when we honor him July 31 at the Induction Ceremony in Cooperstown." The 1950 all-star appeared in six World Series in nine seasons, compiling a .263 batting average in 723 career games, earning Rookie of the Year honors from the Associated Press in 1949 and World Series’ Most Valuable Player honors in 1950. Twice during his tenure as a player, Coleman’s career was interrupted because of military service as a Marine pilot, during World War II and Korea, when he flew 120 missions, received two distinguished flying crosses, 13 Air Medals and three Navy citations, while earning the title of lieutenant colonel. Three years after his last major league game, Coleman made his broadcast debut in 1960, handling pre-game interviews for Dizzy Dean and Pee Wee Reese on CBS television Game of the Week. Beginning in 1963, Coleman joined a Yankees radio team featuring Mel Allen, Red Barber, Joe Garagiola and Phil Rizzuto, and was an active member of the broadcast team annually through 1969. In 1970, Coleman moved to southern California to host the Angels’ pre-game show, while anchoring the evening sportscasts of KTLA-TV. In 1972, Coleman became the voice of the Padres in the club’s fourth season. In 1980, Coleman left the broadcast booth to become field manager for the Padres, a stint that lasted just one year after Coleman guided the club to a sixth-place finish. He returned as voice of the Padres in 1981. Coleman’s work with CBS Radio Game of the Week continued through 1997, with additional assignments for The Baseball Network (1994-1995). He has broadcast two World Series and 18 League Championship Series. The 80-year-old Coleman remains a San Diego-area institution today, with his strong and concise play-by-play, his trademark calls, such as “Oh Doctor!” and “Hang a Star.” He and his wife, Maggie, reside in La Jolla, California. Coleman will be honored during Hall of Fame Weekend 2005, July 29-August 1 in Cooperstown, New York, along with 2004 J.G. Taylor Spink Award winner Peter Gammons. BBWAA Hall of Fame electees Wade Boggs and Ryne Sandberg will be inducted during the ceremonies, along with any electees to emerge from the 2005 Veterans Committee election, to be announced March 2. The Ford C. Frick Award is voted upon annually and is named in memory of the sportswriter, radio broadcaster, National League president and Baseball commissioner.